The wait is over! 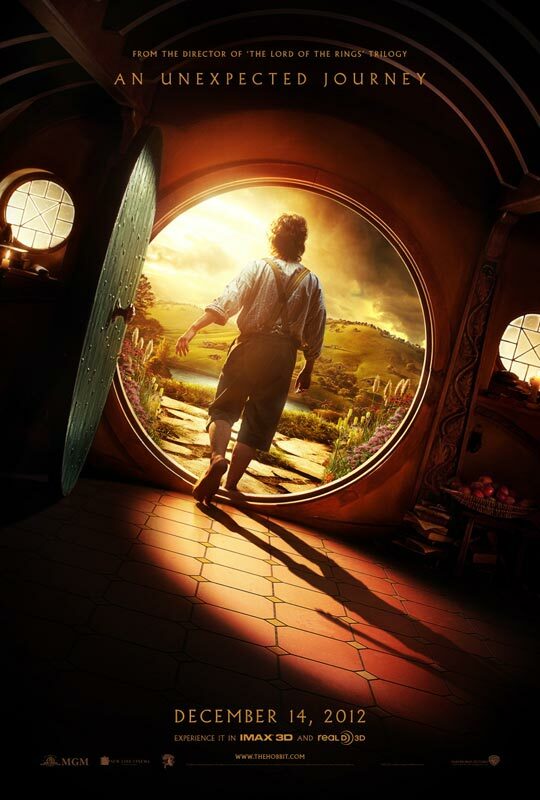 Check out the poster and highly anticipated trailer debut for Peter Jackson's THE HOBBIT: AN UNEXPECTED JOURNEY. The adventure follows the journey of title character Bilbo Baggins, who is swept into an epic quest to reclaim the lost Dwarf Kingdom of Erebor from the fearsome dragon Smaug. Approached out of the blue by the wizard Gandalf the Grey, Bilbo finds himself joining a company of thirteen dwarves led by the legendary warrior, Thorin Oakenshield. Their journey will take them into the Wild; through treacherous lands swarming with Goblins and Orcs, deadly Wargs and Giant Spiders, Shapeshifters and Sorcerers. Although their goal lies to the East and the wastelands of the Lonely Mountain first they must escape the goblin tunnels, where Bilbo meets the creature that will change his life forever…Gollum. Here, alone with Gollum, on the shores of an underground lake, the unassuming Bilbo Baggins not only discovers depths of guile and courage that surprise even him, he also gains possession of Gollum’s “precious” ring that holds unexpected and useful qualities … A simple, gold ring that is tied to the fate of all Middle-earth in ways Bilbo cannot begin to know. The Hobbit: An Unexpected Journey stars Martin Freeman, Ian McKellen, Andy Serkis, Richard Armitage, John Bell, Jed Brophy, Luke Evans, Stephen Fry, Ryan Gage, Mark Hadlow, Peter Hambleton, Barry Humphries, Stephen Hunter, William Kircher, Evangeline Lilly, Sylvester McCoy, Bret McKenzie, Graham McTavish, Ken Stott, Jeffrey Thomas, Aidan Turner, Elijah Wood and opens on December 14th, 2012. What do you think about the first trailer?